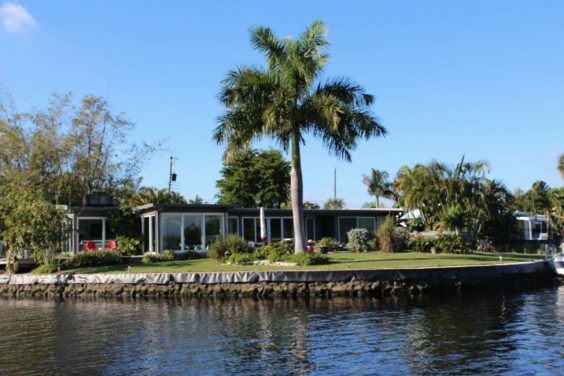 When you want to make sure that you’re getting the best of the best when it comes to waterfront properties, you want to know that you’re getting something that is worth your time and your energy. That being said, it can be hard to determine what is included with that. Whether you’re looking at the Hibiscus Island house for sale offered by Sky Five Properties or these other properties, you can really fall in love with them. Here are 7 properties we found on the web. 1. Sarasota, Florida, has a wide variety of options when it comes to waterfront properties, especially in the Turtle Beach area. Sit back on the huge front deck of this gorgeous contemporary home and soak in the beauty of the Gulf of Mexico. 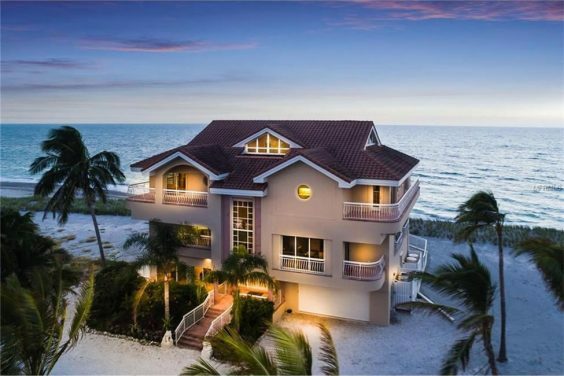 With palm trees swaying in the air and waves gently lapping just feet from the front door, this expansive home epitomizes beach front living. 2. Big, luxurious homes are nice for some, but others prefer the low maintenance life style of condominium living. The Savannah River is a very popular place for boat lovers to get carefree waterfront property. 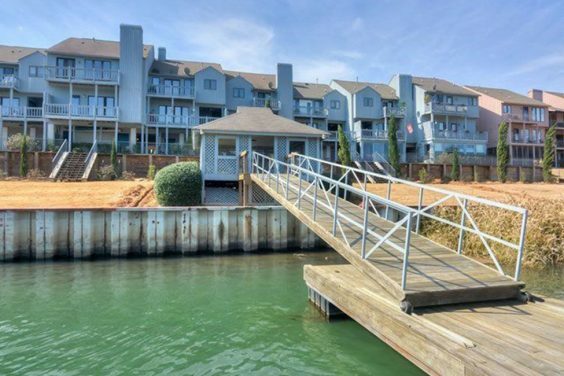 Located in Augusta, Georgia, these condos have private porches to enjoy the view along with private boat slips so that you can fully indulge your river boating passion. 3. 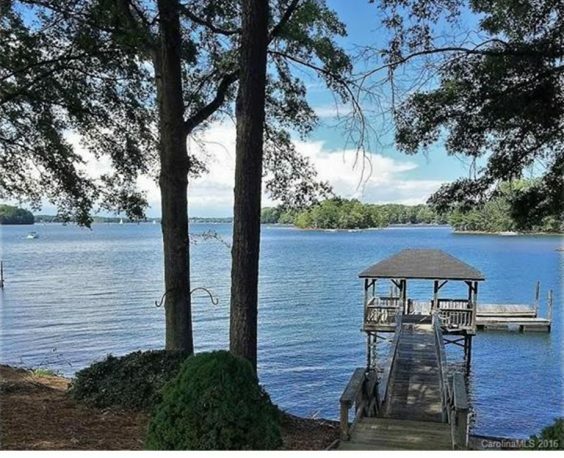 Lakefront property is always a beautiful option for those who prefer less populated areas, and on Lake Norman, in the area of Huntersville, north of Charlotte, NC you can still find a secluded piece of nature’s best. The dock area is a favorite for many people looking at this traditional home, and you can’t beat the view from the veranda! 4. Living in luxury is a dream for many, and this exceptional home on Smith Mountain Lake (Southern Virginia) is an example as to why. The newly built home sits right on the lakefront on a large plot of land to ensure privacy. The meticulously landscaped lawn sweeping up to the turreted home with its fabulous windows, defines stately. 5. South Florida is a favorite retirement location with a variety of waterfront properties. This one stands out for its easy one-floor living right on the edge of the water, and its wall of windows for unimpeded water views. The home has the security of being part of a gated community but still has privacy. 6. Some people want a smaller home with a waterfront view, and there are plenty of those available to choose from as well. Waterfront in the North Atlantic, specifically Massachusetts, have gotten a lot of attention lately. 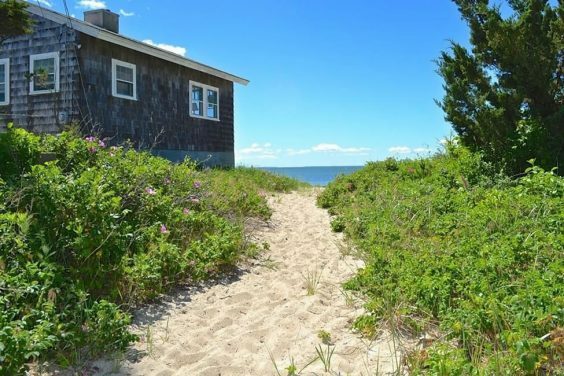 This home in Mattapoisett was built in the 1940’s and is right on the Atlantic Ocean, allowing for fishing or just enjoying the view early in the day. 7. 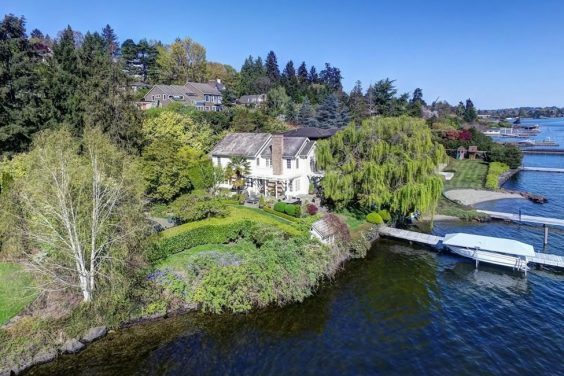 Lest you think that the East Coast of the United States is the only location with beautiful waterfront properties, Seattle has a number of exceptional waterfront homes as well, including this one right on the shore of Lake Washington. The sculpted boxwood hedges and mature trees give this home the look and feel of an English country cottage.